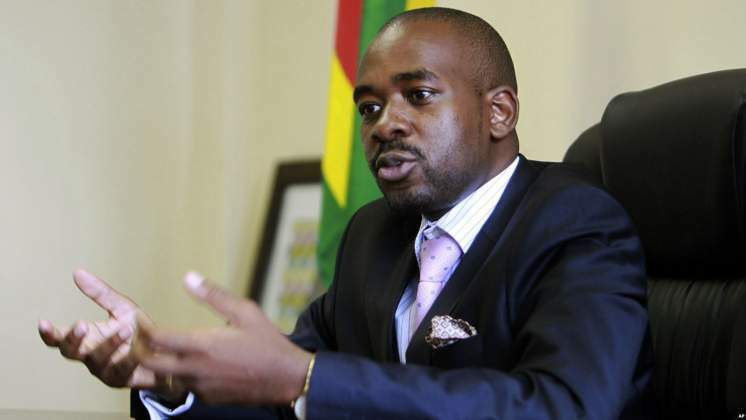 MDC President Nelson Chamisa has snubbed an invitation by President Emmerson Mnangagwa to attend an Indaba on Wednesday to discuss a framework for National Dialogue and Interaction. "We have a political crisis arising out of a disputed and rigged Presidential election result in Zimbabwe. The Presidency is disputed." Chamisa charged. "We need genuine dialogue under a credible Convener and mediator to solve this crisis. Stop citizens abuse, beatings and arrests." Asked whether he was snubbing the Indaba because he wanted to be the sole invitee while also risking destroying his political career Chamisa said, "Dialogue is not charity but for common good. Zimbabwe benefits not individuals. We want the doors not the windows. Politics is a calling not a career for me. "At the end of the day, Zimbabwe is bigger than any individual. I will rather be destroyed than destroy the hopes of millions in a genuine new dispensation. Dialogue cannot be unilateral and one way. Command politics is not dialogue. No soliloquy." MDC Vice President Professor Welshman Ncube also weighed in on Chamisa's statements saying as MDC they will stand by and watch the process failing. "Irredeemably and irretrievably flawed. Let him dialogue with those who represent no one other than their individual selves. We watch the futility of it all." Said Professor Ncube. Political analyst Dr. William Mpofu said if the President was genuine in his commitment to dialogue, he would have allowed an independent party to lead the process. "First best scenario is that churches, or such organisations as what IDASA was, or what the Zimbabwe Institute is should preside over the dialogue. Second is that neighboring states with elder states people should do so. "Or, the third and the last, students, Labour, churches and political parties should call a total mass stay away, indefinite boycott of everything, no street protests that will sacrifice the innocent, and bring all this catastrophe to an end. "These talks are already bloodied and muddied. The opposition are being invited to clean the mess, the blood of innocent civilians that has enraged the globe. The crocodile wants to be rescued from the bloodied mud." Dr. Mpofu opined.